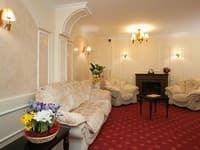 ATTENTION, BOOKING IN APARTMENTS IS CARRYING OUT OF 3 DAYS !!! 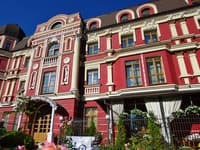 The apartment "Domashny Uyut na Nikolskaya-Slobodskaya" is 5-10 minutes walk from the metro station "Levoberezhnaya" and the International Exhibition Center (ICC). 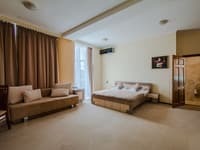 Guests are offered accommodation in apartments with modern renovation, equipped with satellite TV, Wi-Fi access, air conditioning and all the necessary furniture. Each apartment has a kitchen equipped with a stove, oven, electric kettle, microwave, refrigerator and utensils. Near the apartment there are supermarkets "Furshet", "Fora" and "Novus", a lot of cafes, restaurants, SEC "Komod" with a cinema, theater "Dramas and Comedy." In 10-15 minutes walk is the Dnieper River with a well-equipped beach. 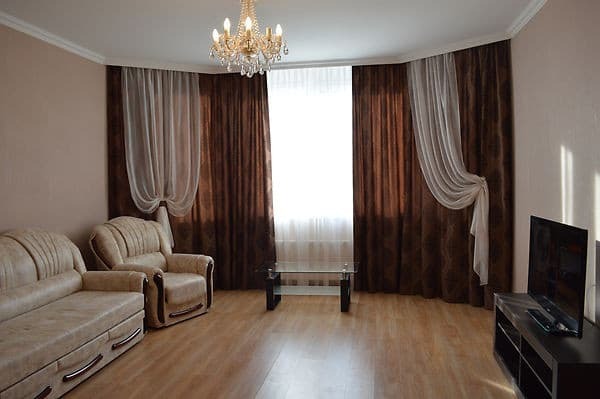 Distance from the apartments "Domashniy Uyut on Nikolsko-Slobodskaya" to the railway station is 12 km, bus station - 13 km, to the international airport Borispol - 30 km. К сожалению работники отеля не предупредили о том, что квартира, которую я снимал находится в новом доме. Именно в этом подъезде постоянно отключалась электроэнергия. особенно в час пик. 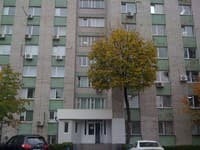 Вечером, кода нужно было готовить ужин и работать на компьютере. Реле и предохранители находятся в кухне и сильно гудят. 50 литровый бойлер не способен наполнить ванну теплой водой. горячей централизованной воды в номере не было. Таким образом цена и качество услуг, которые я получил абсолютно не соответствовали друг другу. Children under 5 years are accommodated free of charge without providing extra space. The cost of additional. places is 80 UAH. 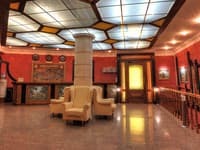 The apartment is located 5-10 minutes walk from the metro station "Levoberezhnaya" and the International Exhibition Center (ICC). The distance to the railway station is 12 km, the bus station - 13 km, to the international airport Borispol - 30 km. From the railway and bus station is most convenient to go by subway to the station. "Left Bank". From the airport Boryspil to metro station "Borispolskaya" or railway station, then by metro to the station. "Left Bank". You can reach Kreschatik by metro in 25-30 minutes.